Get DISH no matter where you go with DISH Anywhere. You get 100% access to live TV, your recorded programs, even on-demand selections - on any device, anywhere. 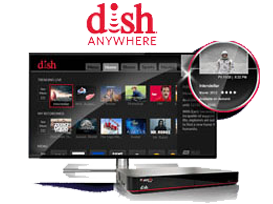 Use DISH Anywhere technology on any device to schedule DVR recordings while you are away from home. Suddenly remembering you forgot to set the DVR is no longer a problem. Never miss the latest hit show or the playoff game! Get the entertainment you want on multiple devices at the same time. Watch on your phone while the kids watch on the tablet. Start watching on your device and switch to the TV when you get home. Long trips by air, land or sea can be tedious. Before the trip, transfer recordings to any of your devices. 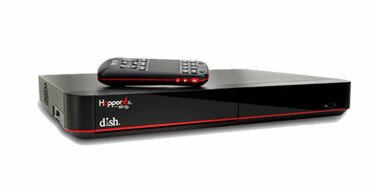 Make travelling fun and entertaining with DISH Anywhere. And, best of all, it’s free with the Hopper!